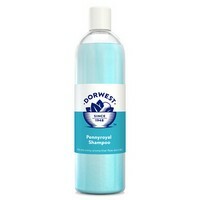 Use Dorwest Pennyroyal Shampoo regularly and you should find that fleas simply don’t want to hang around your pet. Since the Middle Ages the fresh, minty scent of Pennyroyal has been used to deter parasites. 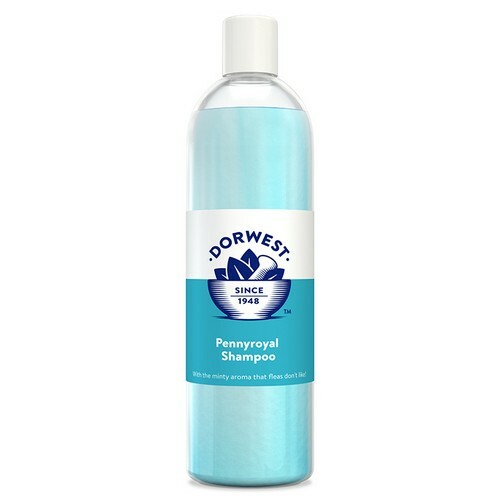 Dorwest has taken the volatile oil found in the herb’s leaves and added it to a quality shampoo base. It can be diluted by up to 50 % and has good rinsability with no residue remaining after washing. Also available in 200ml and 1 litre bottles.